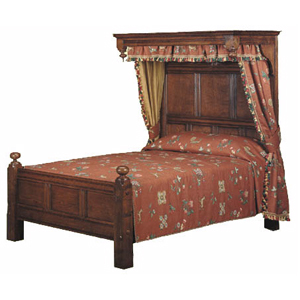 As the name suggests, Half Tester Beds have a canopy that doesn’t extend to the foot of the bed. 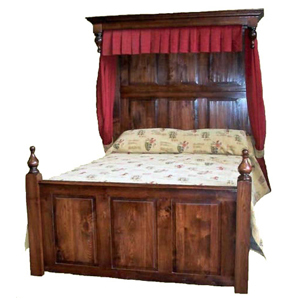 The headboard would normally be fully panelled to the canopy. 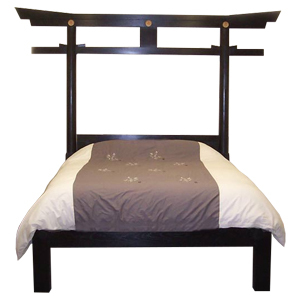 If you are looking for a half tester bed with a gap between the headboard and the roof, then let us know. We can make the half tester beds with either a foot board or end rail. We can also turn different finials for half tester beds, so if you have a design you have found, then please ask us.